Bowl games and bowl names started getting impossibly confusing right around the time that the corporate sponsors began trying to integrate their product names into the titles. But even in the old days, names sometimes changed and/or moved around at the NCAA's whims. The Hall Of Fame Classic in Birmingham had to change its name to The All-American Bowl in 1986 when the college-football stewards decided that Tampa, Florida deserved a bowl with "Hall Of Fame" in the name. Yet Birmingham soldiered on, and from 1977 to 1990, the bowl—whatever its name—enticed big-time conferences like the Big 10, ACC, and SEC, even though those conferences typically coughed up whichever of their traditional weaklings were having a flukishly good year. Ah, Vanderbilt and Duke—remember the days when you dreamt of December in Birmingham? Yet another Alabama-hosted bowl, notorious in football-loving households as the only goddamn thing on TV after all the presents had been opened on Christmas Day. An all-star game of sorts, the BGG pitted the best players from non-bowl-eligible northern universities against the best players from non-bowl-eligible southern universities. Toward the end of its run, the rules were altered to allow teams down by more than 10 points to get the ball back when they scored. Teams down by more than 20 points were sent to Andersonville Prison. Houston's best, longest-running bowl dates back to 1959, so no, the name wasn't an early attempt to usurp college's postseason for advertising purposes. The bluebonnet is Texas' state flower, and The Bluebonnet Bowl typically featured a smaller Texas college offering itself up to be mowed down by a slumming NCAA powerhouse. Hey, at least teams got to check out the Astrodome from field level, back when that was still a cool thing to do. At two years, The Cherry Bowl isn't quite the shortest-lived bowl series ever. Some bowls only lasted a year, and at least one—The Haka Bowl, scheduled for New Zealand in 1996—was cancelled before it even took place. The Cherry Bowl is primarily noteworthy as an early attempt to bring a game to chilly Michigan, years before the still-holding-strong Motor City Bowl. In 1984, The Cherry Bowl featured Michigan State versus Army, and was a rousing success. In 1985, it featured Maryland and Syracuse, and nobody came. Thus endeth The Cherry Bowl. This Anaheim-hosted bowl was a decade ahead of its time, starting in 1984 and wrapping in 1994, well before the U.S. fell in love with all things freedom-y. The Freedom Bowl was frequently the prestige bowl for WAC teams, which got to show off against barely bowl-eligible entrants from the PAC-10 and elsewhere. There's no truth to the rumor that it was originally known as The French Bowl. Mid-December in New Jersey? Not fun unless you're a Rutgers fan, and unfortunately, Rutgers only played in the inaugural edition of this game, in 1978. The remaining three years were far drearier, except for the time when the PA announcer played The Shins, and totally changed everyone's life. In the absence of a Bluebonnet Bowl, the empty Astrodome beckoned to all comers, and after a decade-long vacancy, it saw postseason action again through the courtesy of galleryfurniture.com, which sponsored a game for 2000 and 2001, before dropping out and letting the locals call it The Houston Bowl. (Later, it became The EVI.net Houston Bowl, by which point the game was out of the Astrodome and into Reliant Stadium.) In whatever configuration, The Houston Bowl was essentially The Bluebonnet Bowl redux, with smaller Texas schools often taking on out-of-state invaders. This time, the Texans usually won. Yee-ha. Houston, holler. 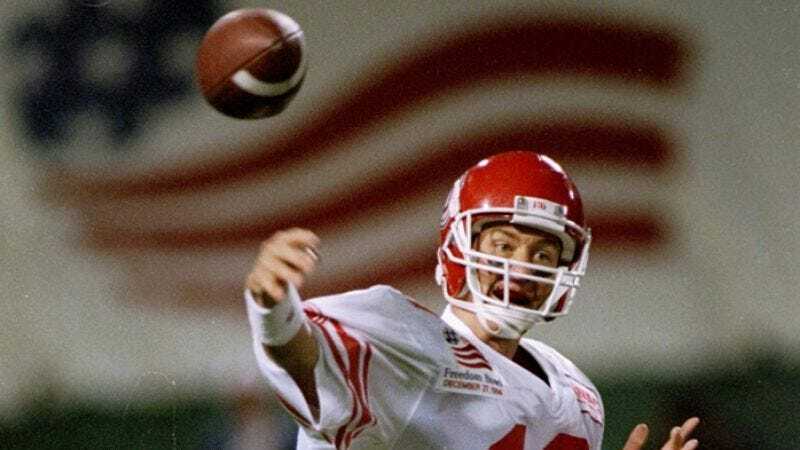 The original Houston-based bowl was an actual New Year's Day affair, at least for the three nonconsecutive years of its existence. The final game was a classic David-Goliath match-up between perennial powerhouse Georgia Tech and 1946-47's Cinderella story, St. Mary's. (Tech blew 'em out.) Too bad no one grew attached to the name, because "The Oil Bowl" is a pointless compounding of a regional specialty with the word "bowl" and a devil of a tongue-twister, if you try to say it 10 times fast. The concept of a "raisin bowl" isn't ludicrous on its face, though this Fresno-based affair was obviously trying to capitalize on the region's number-one export, aside from Fresno State alums. The Raisin Bowl was another post-World War II New Year's Day game that died out before the end of the '40s, shortly after Occidental registered a victory over Colorado A&M, in what became known as The Clash Of Two Colleges No One Has Ever Heard Of. The game and the name had a comeback of sorts in 1981, when Fresno started hosting The California Bowl, which a few years later became commonly known as The California Raisin Bowl, thanks to the sponsorship of The California Raisin Advisory Board—once again proving advertising's power to bring us closer to our cultural heritage. Bowl games tend to thrive or starve depending on location, both in terms of where two teams might like to spend their Christmas vacation, and in terms of where the money is. When The Aloha Bowl started in 1982, it lured top-drawer teams like Alabama and USC with the promise of an island retreat between two-a-day practices. But attendance dwindled, and a move to Christmas Day didn't help, because in order to get on TV in the mainland at a decent hour, the games had to start early in the morning in Honolulu, when most Hawaiians would rather be gathered around their respective trees. So the whole operation moved to Seattle in 2001, chasing the dot.com boom. Two years later, it had "gone the way of The Oil Bowl," as bowl aficionados are wont to say. This last entry stands in for all the weird name-changes that have some football fans thinking a bowl is defunct, when it still actually exists. The Sunshine Classic lasted just one year before becoming The Blockbuster Bowl, and then The Carquest Bowl, The MicronPC Bowl, The Tangerine Bowl (the second bowl by that name, actually … the first one later became The Capital One Bowl), and, currently, The ChampsSports bowl. Meanwhile, anyone looking for The Humanitarian Bowl can find it re-filed as The MPC Computers Bowl. And as for everyone's favorite, The Poulan/Weed Eater Bowl, it's still around under the name it always officially had, The Independence Bowl. Only now it's The PetroSun Independence Bowl. Thanks again, corporate America!